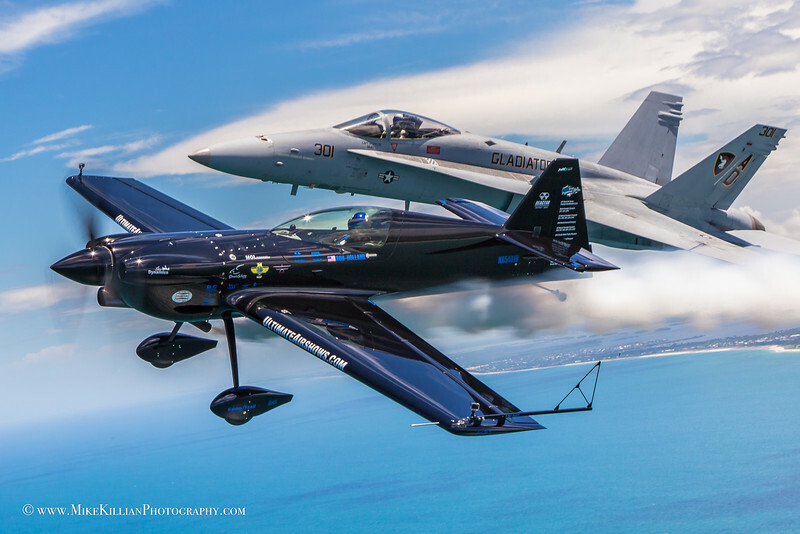 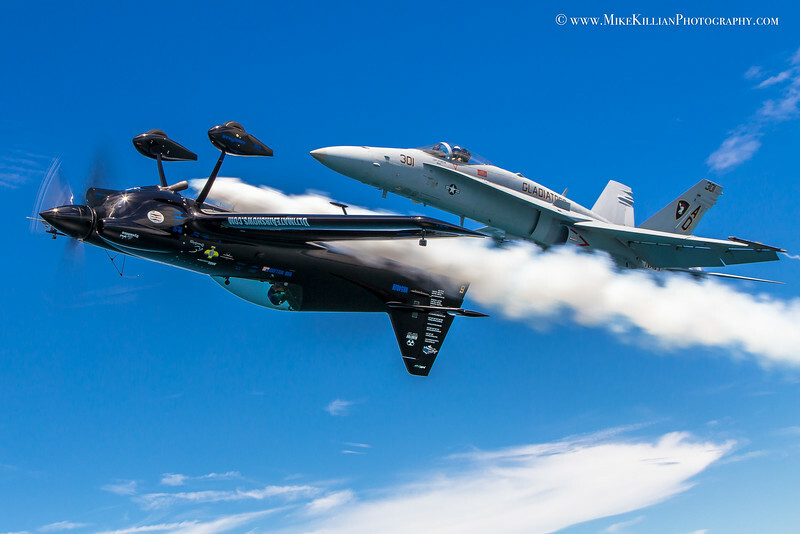 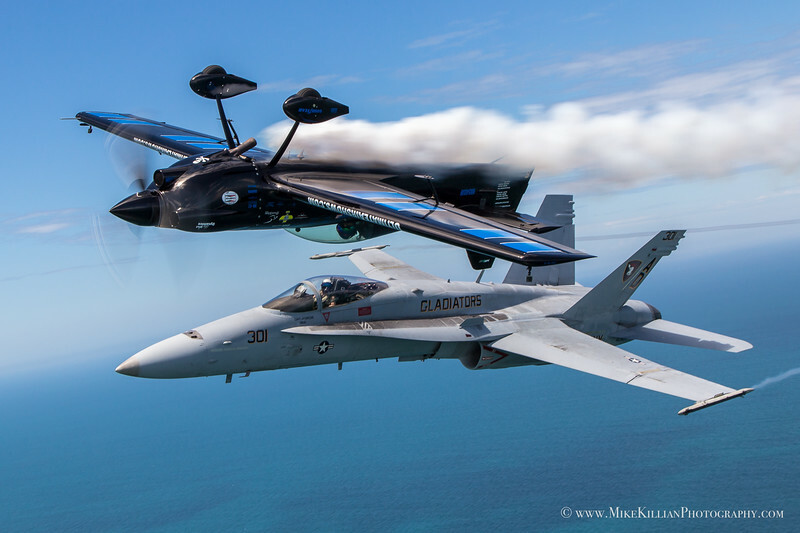 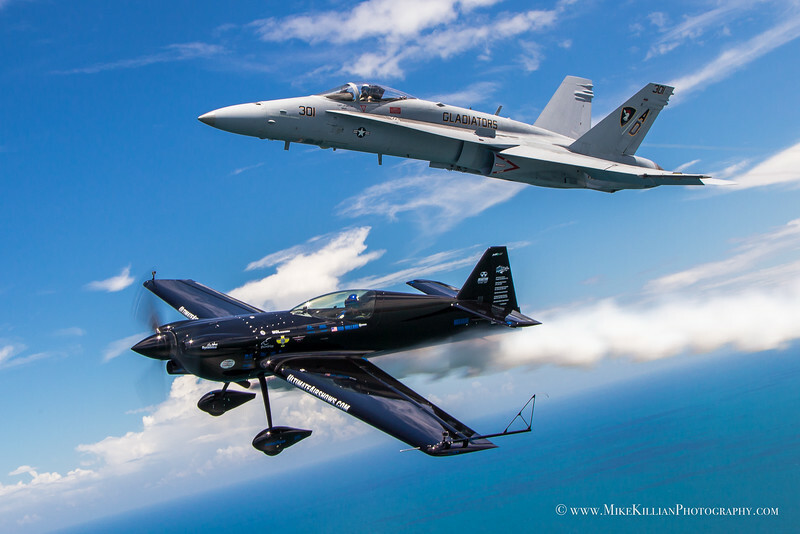 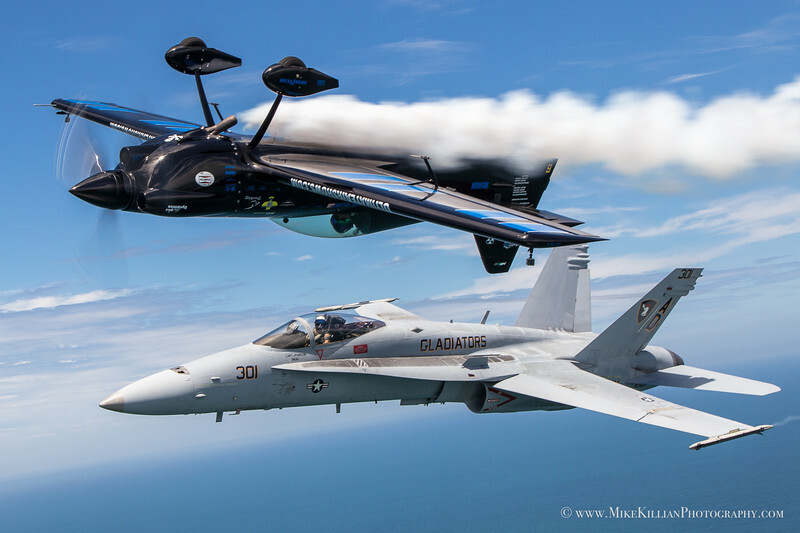 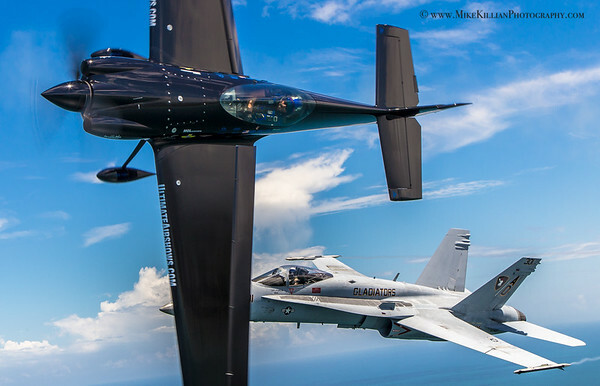 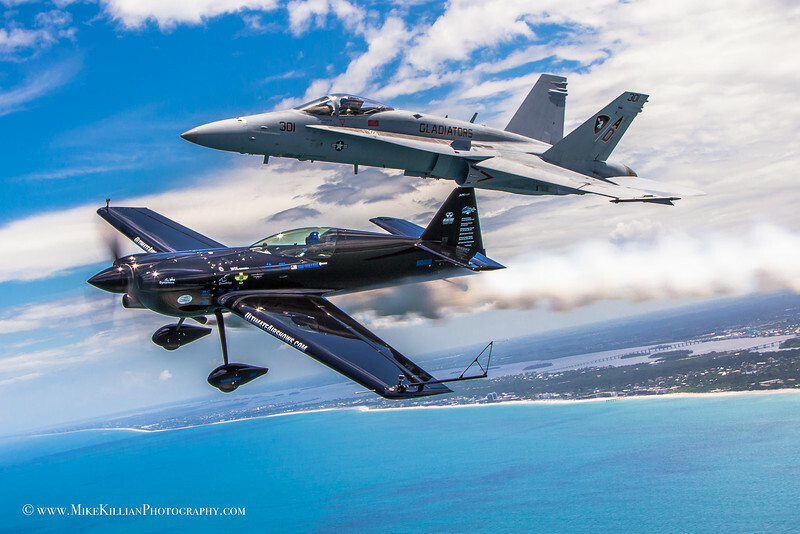 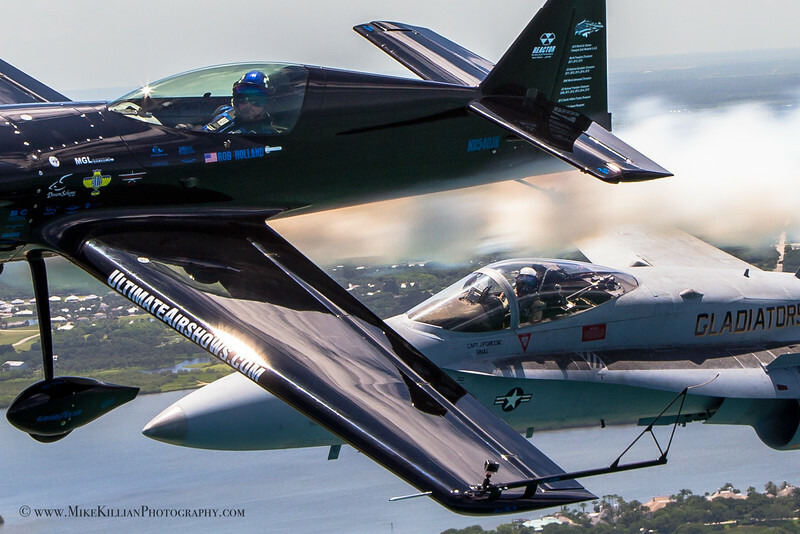 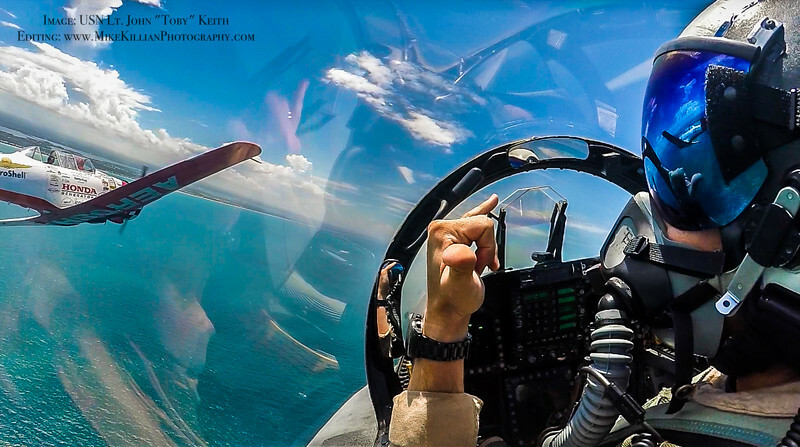 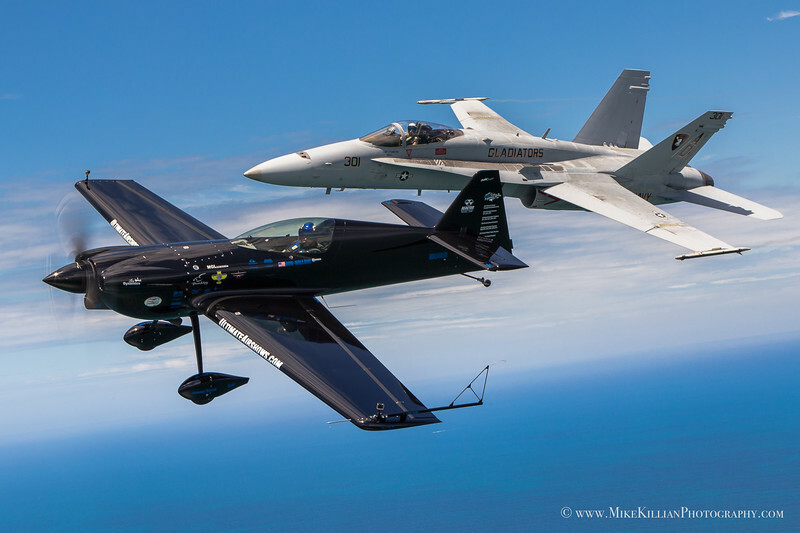 To honor USMC Capt Jeff "Kooch" Kuss, Blue Angel 6, the NAVY F/18 Tac Demo team and Hornet pilot Lt. John "Toby" Keith, World Champion aerobatics pilot Rob Holland and myself teamed up to honor Kooch with a tribute shoot at the Vero Beach Air Show June 24, 2016. 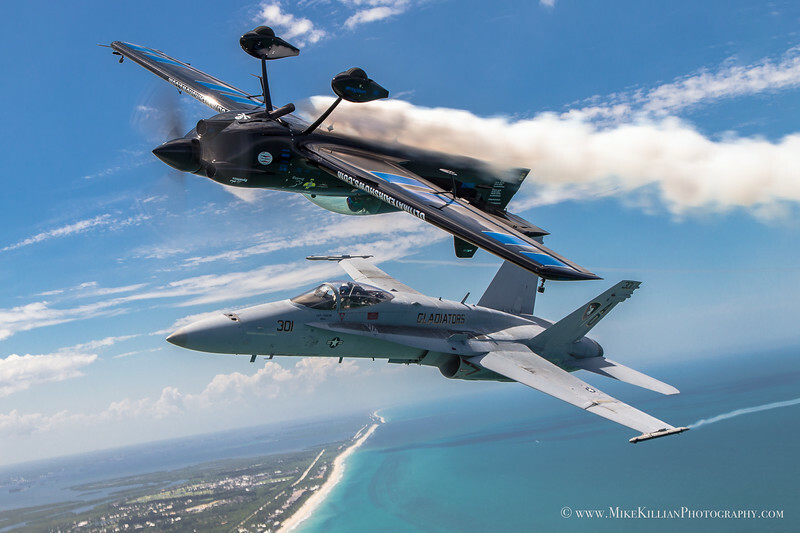 Rob flew a photo shoot with Capt Kuss and Blue Angel 5, USN Lt. Ryan Chamberlain, earlier this year with aviation photographer Glenn Watson. 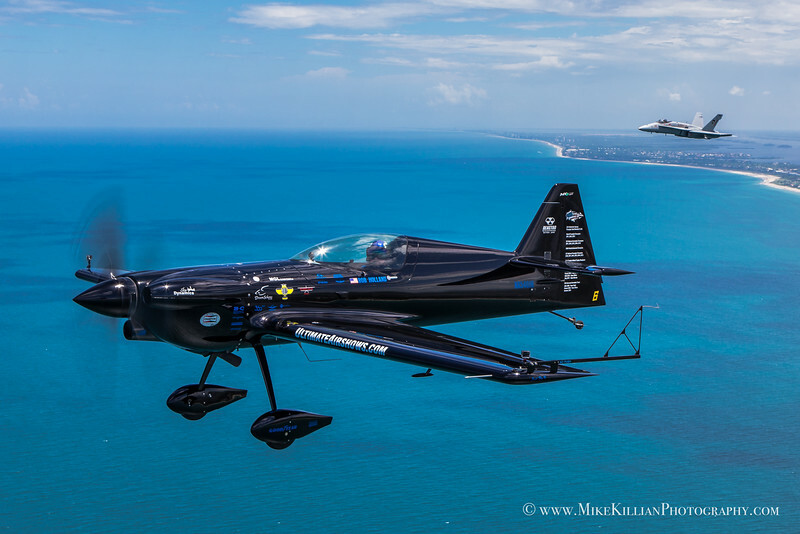 I had the honor of shooting with Capt Kuss and Lt Chamberlain in TN, along with Team Oracle and Sean Tucker, the day Kooch was lost. 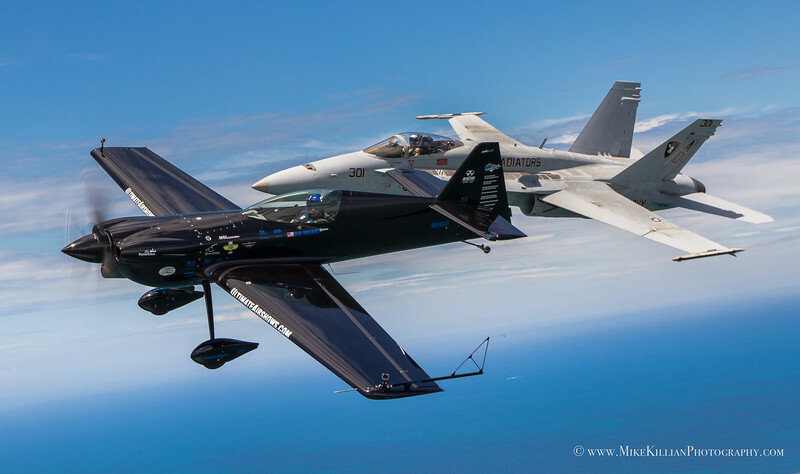 Read our interview with Popular Mechanics about it HERE. 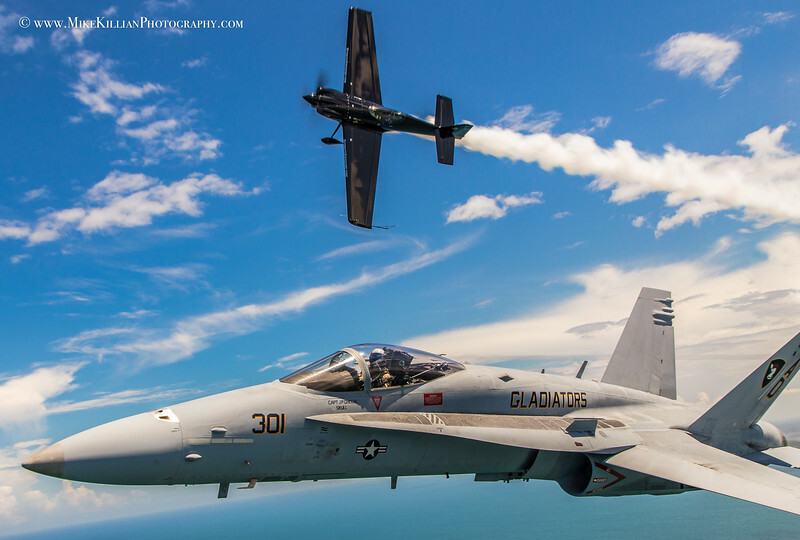 Tac Demo from VFA-106, the GLADIATORS, and Rob Holland honor Capt Kuss with #6 painted on their planes. 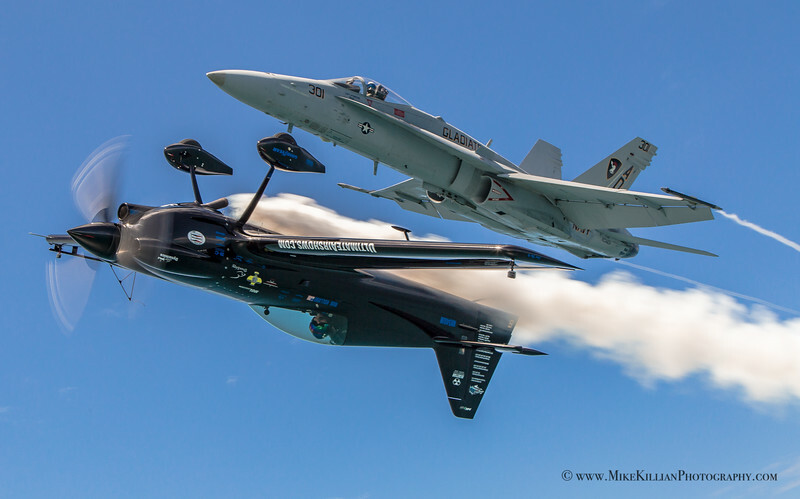 The Hornet demo team stepped up in place of the Blues at the airshow while the team continued practicing in Pensacola for their return. 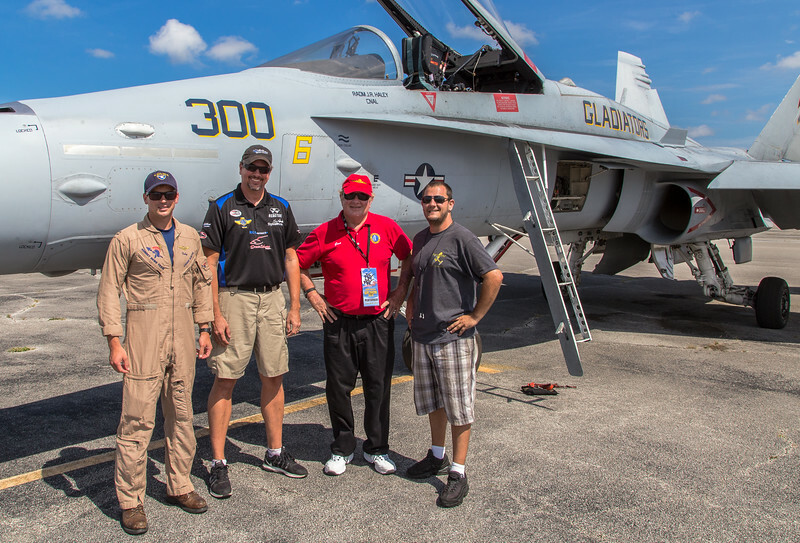 With thanks to Gene McNeeley and Team Aeroshell for stepping in to fly the photo ship, as well as USN Tac Demo Lt. Jaime "Eeyore" Monroe.